TDM Solutions – You make it. We Simulate it. TDM Solutions are the sole suppliers of C G Tech Vericut in Southern Africa, based in Johannesburg. TDM Solutions has over 20 years experience of servicing & supporting Vericut. 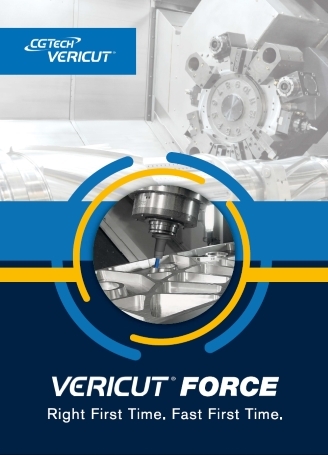 VERICUT is a single NC data verification and optimisation solution that can be used with ALL your CNC machines and CAM systems! 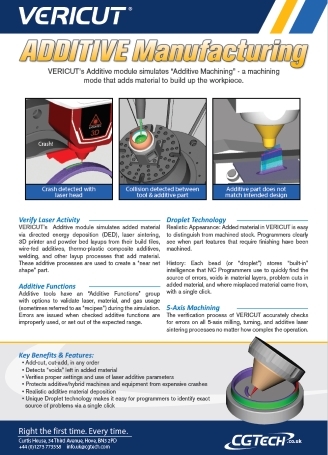 VERICUT is the world’s leading CNC simulation software – used in all industries with all CAD/CAM/PLM systems to simulate NC code, whether programmed manually or post-processed from your CAM system. 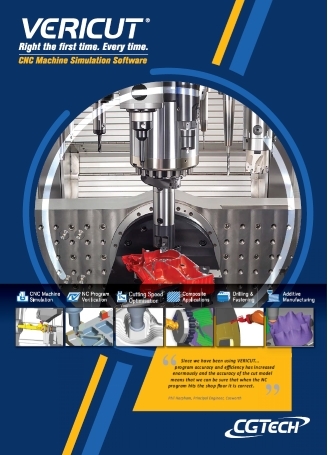 VERICUT links into Catia, Siemens NX, EdgeCam, MasterCam, GibbsCam, Solidworks, Creo, TopSolid, Teamcenter, Autodesk, NCG Cam and Cimatron. 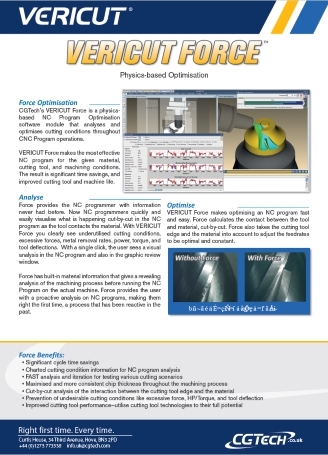 Giving you the flexibility to programme and simulate at the same time, in your chosen CAM system with Vericut. What's New in Vericut 8.2? TDM Solutions, Faraday Road, Sunninghill, Sandton, Gauteng, 2157, South Africa.